It’s February! The second month of the year brings about one of our favorite holidays, Galentine’s Day! Galentine’s Day is celebrated February 13th as it’s a day to spoil your besties and hopefully, in return, they’ll spoil you too. Aside from shopping our unique NIIRVA Shop for gift ideas here are a few BOHO inspired ways to have fun with you BFFs this Galentine’s Day. Flower crowns aren’t only a summer fashion statement but they are a perfect craft and/or gift for your bestie on Galentine’sDay too. 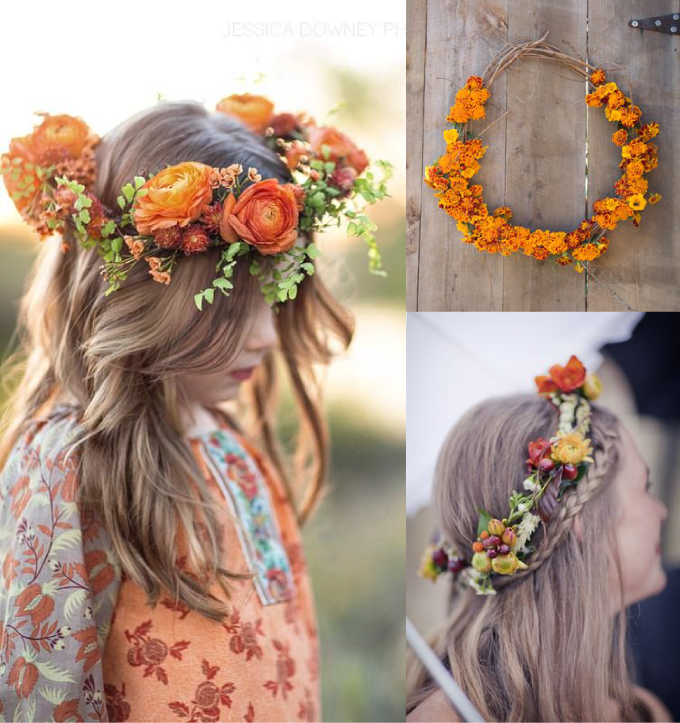 Take a peek at our last year’s post on how-to create your own flower crown. 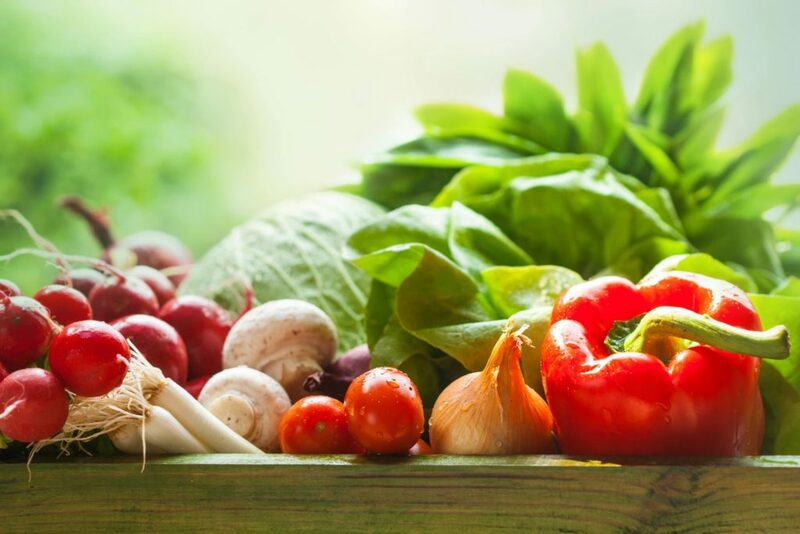 Essential oils are having a moment–they really are a hidden lifestyle accessory. 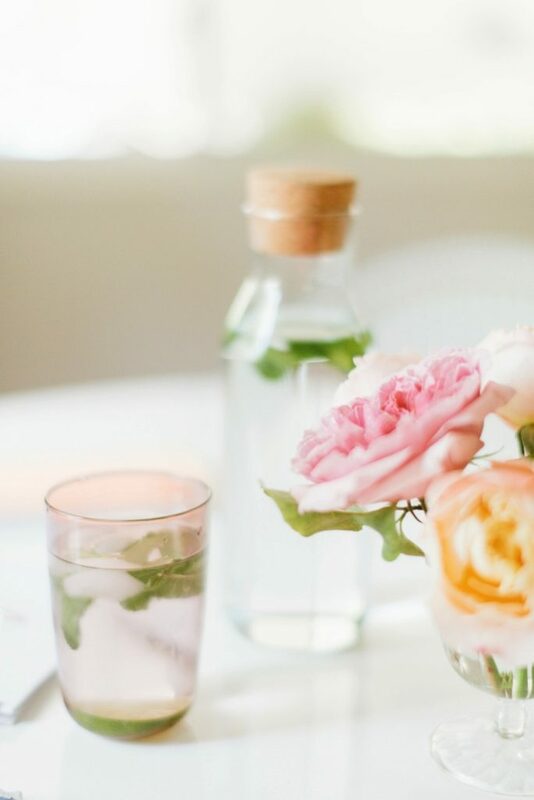 Aside from just smelling lovely, wearing various essential oil fragrances can help boost your mood, relieve headaches, aid in sleep, and help with your overall relaxation. We love the idea of DIYing your own oils to gift to your girls as a Galentine gift. In fact, The Glitter Guide has a pretty how-to. Balloons are the perfect party decoration as well as a backdrop for any social media post. 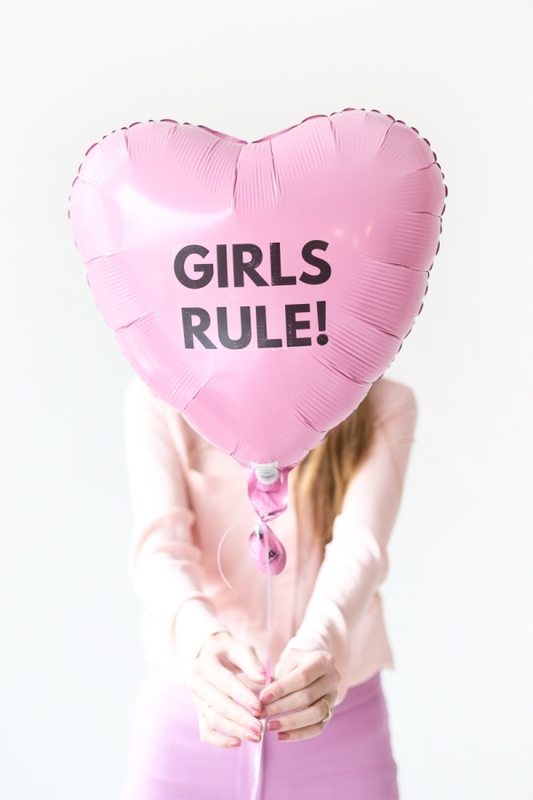 If you are throwing a Galentine’s Day bash you may want to read this fun DIY on Studio DIY that offers fun #girlpower phrases you can print on your balloons. It’s August and we are not ready to trade our pom-pom sandals for duck boots, nor are we wanting to return our mango margaritas for pumpkin spice lattes. However, with the month of August comes the anticipation for fall and fall fashion. Everyone from retail to bloggers are pushing summer into their rearview mirrors and setting sites on earth tones with fringe details. Being in the fashion biz, we have to embrace – or at least report – the anticipated fall 2016 trends. Secretly, we’ll be wearing our bikinis underneath our pea coats. Capelets. Capelets are trending for fall 2016 fashion. The past few years the cape has been en vogue, but this season the cape has gotten a makeover. A capelet is very European and basically is a shorter version of the cape. We can’t guarantee how warm it will keep you, but you’ll look really chic. Pumpkin Hues. If pumpkin pie is a fav of yours, it just might be your new favorite color too. Burnt orange and similar shades in the pumpkin orange family will be the 2016 Fall go-to color. Choker. The 90’s called and said the choker is back, but bigger and better than before. The large, clunky, jaw-dropping variations of the choker necklace are expected to pop up this fall. Socks and Heels: Temps tend to drop in autumn, so if you insist on wearing socks with high heels, then you’re in luck as this is considered a 2016 fall fashion trend. Tip, wear sheer socks with your heels. 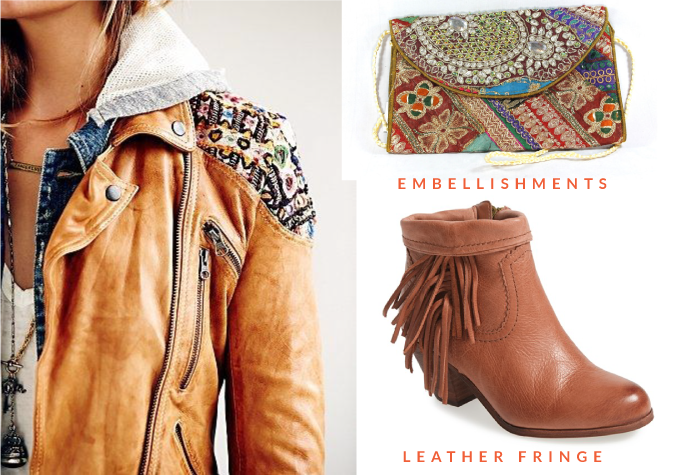 Glam BOHO: Everyone loves a BOHO girl. We do! This season, BOHO gets vamped up a level. Take your bohemian dresses and skirts to the next level with fall floral patterns and heel booties. Statement Necklace: A statement necklace is always in season-no matter the season. Niirva has a wide selection. Velvet: If fall had a texture, it would be velvet. Luckily, you’ll be able to find velvet blazers, pants, dresses, and more just in time for autumn. Sparkle Booties: Sparkles and booties go together like pumpkin and spice. Zara has created the perfect boots for fall that are is sparkly and affordable. They are only $60.00! The bad part is that they sold out in minutes. There is a waiting list and there is always hope that Zara will make more of these cuties before the trees begin to change. 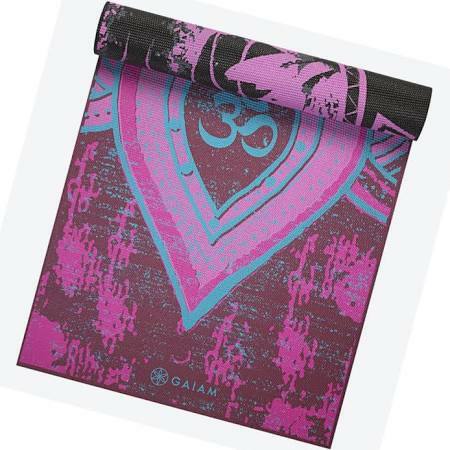 Scarves: Even before the first leaf falls, scarves are popping up everywhere! Niirva has a selection-some even have pom-pons. Party Tee. You may already know (if not tune in) there’s an election going on. Fashion tends to raise its voice and create fashionable campaign tees for voters to sport during the campaign. Ann Taylor has a rather stylish #IamWithHer Tee that everyone from Demi Lovato to Emma Roberts are wearing. Top Knot: You have seen Kendall Jenner and the other it models sporting tight, chic, and simple top knots. Well, get on board as top knots are fall’s go-to hairstyle. Jean Jacket: The jean jacket had it’s moment in the 80’s and now it’s back to play. One way to bring the jean jacket into 2016 is to add on patches. The more patches you add, the cooler your jacket looks. 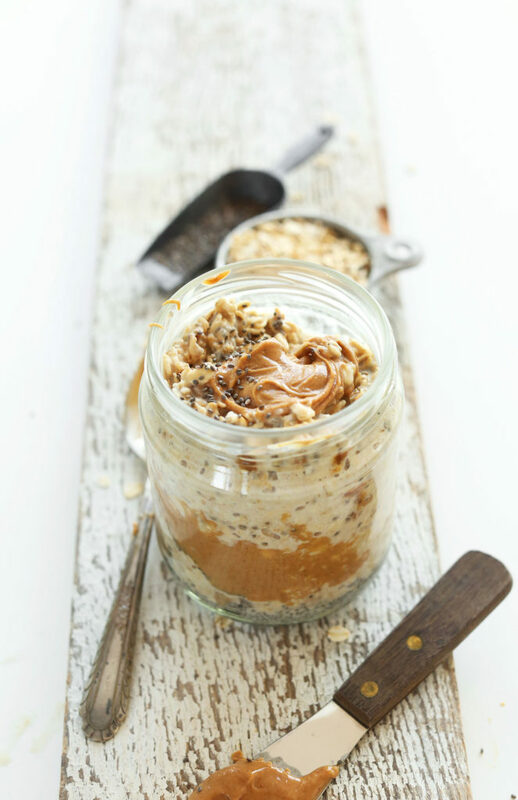 This list has us warming up to the idea of pumpkins, lattes, and cinnamon buns. While we wait for fall, we should at least wear our pom-pom sandals. Show us your fall looks on Instagram @Shopniirva #Inspiredstyle. Since fall is right around the corner we thought we’d share some of our favorite fall looks and ways you can achieve them yourself. Our fall style centers around layering. It’s a cozy looks that’s all about comfort. Adding accessories in serves to elevate the layered look even more. Here’s a look at our fall must haves. Embellishments: Our Zari Clutch is the perfect embellished accessory for the season. The hardest choice will be which color to go with! Leather & Fringe: Seriously obsessed with these leather fringe booties. Now just to wait for them to go on sale. Gold Accents: We’ve got all the gold accents you’ll need to get you through fall. The warm gold tone will complement any outfit. 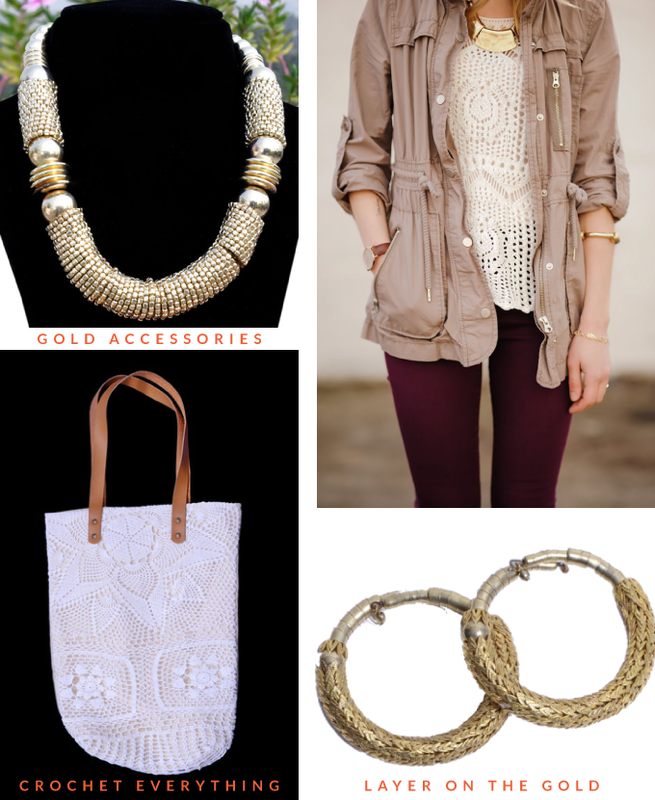 Shop the Wreath Bracelet here and the Ethnic Metal Necklace here. Crochet: Once thought to be a summer trend we’re loving it for fall this year! Add it to your everyday attire with our Crochet Bag. Felt Hats: A must have to get you through fall. Perfect for those less than stellar hair days. We’re very fond of this one. 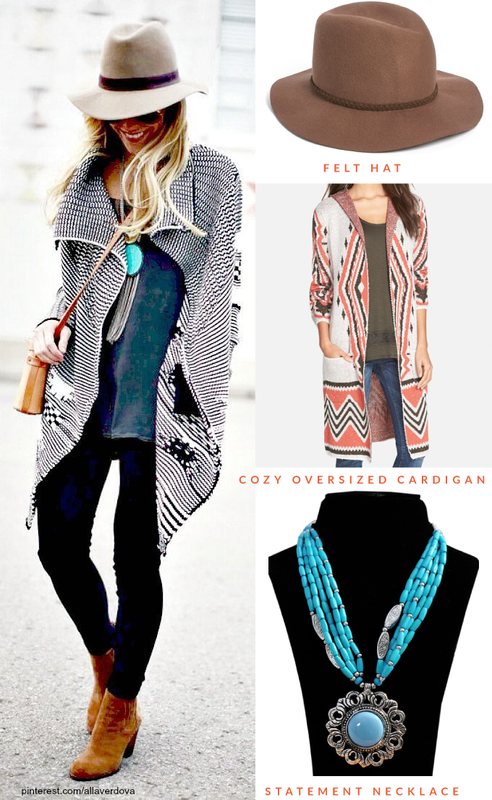 Oversized Printed Cardigans: Seriously chic and oh so cozy! Layer it on and your outfit is instantly transformed. It will keep you warm too as the temps begin to drop! Statement Necklaces: We like to call this the finishing touch to any outfit. Our Sun Turquoise Necklace will get you through any gloomy fall day. Summer officially starts in just a few short days. If you’re anything like us you’re already in full summer mode. 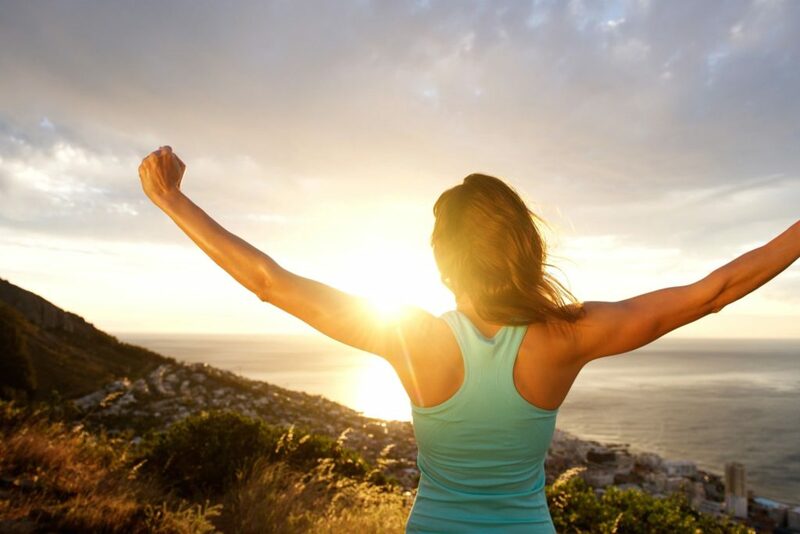 Summer hours, taking a little extra time on your lunch breaks, spending every extra second outside that you can to soak up that warm summer sun. With summer comes a whole new world of wardrobe options. We always tend to wear more color during the summer months which extends into our bags and accessories. 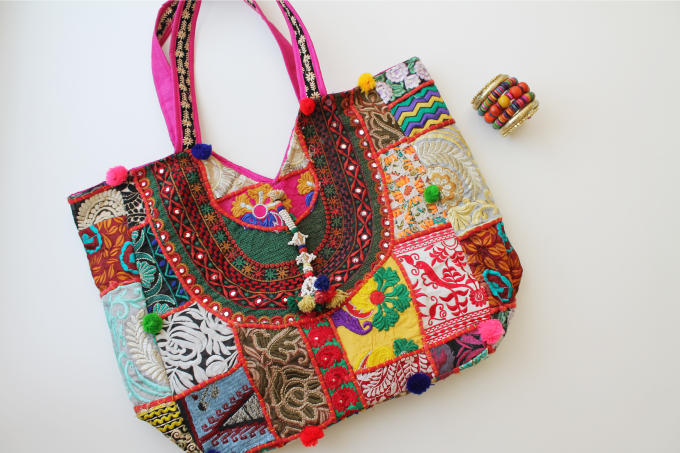 This summer we’ve decided that our Kutch Tote Bag is going to be our tote for summer and we think it should be yours too! 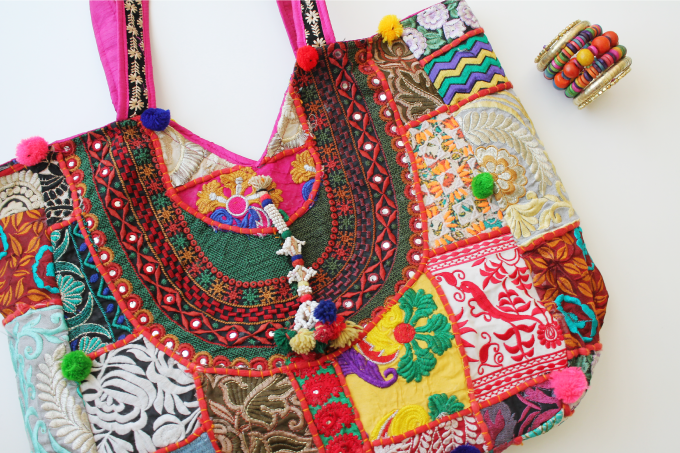 The embroidery and colors are stunning and the size is perfect for toting around all your necessities. 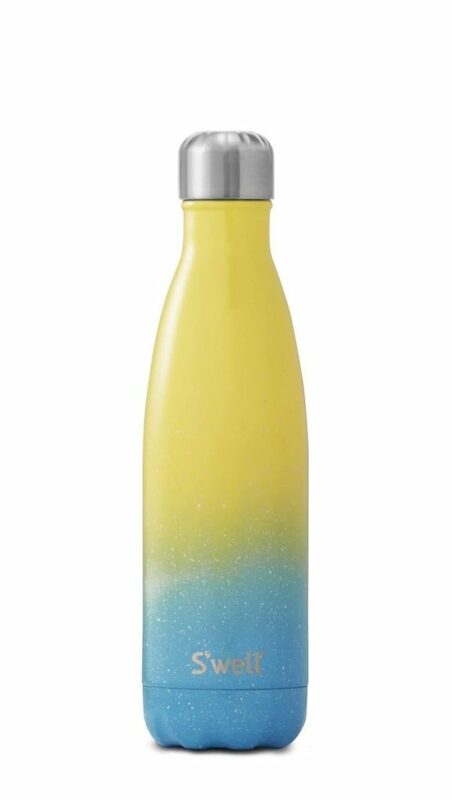 Use it for the pool, beach, Saturday morning markets – it could even be your summer work bag! 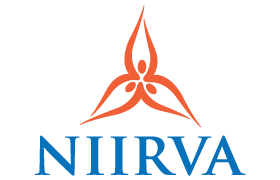 Interested in collaborating with Niirva? Contact marianne@niirva.com for inquiries! It’s no secret that we tend to spend a good amount of time scrolling through our Instagram feed on the daily. With so much gorgeous imagery who wouldn’t? 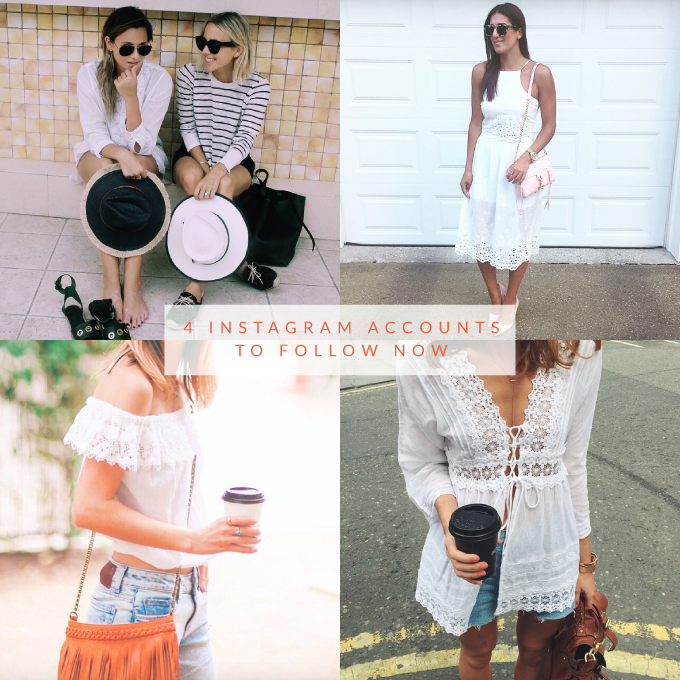 We follow tons of style influencers all who do a wonderful job filling up our feed with their latest adventures, outfits, food, and fun. We love seeing everyone’s photos, but these four Instagrammers have really captivated us. Take a peek at who to follow and why. @WeWoreWhat: NYC style blogger Danielle shows us a glimpse of her life in NYC, travel,s outfits, and more. @a_southerndrawl: A little southern a little boho. We love Grace’s style and colorful imagery. @gemmatalbot: The name alone makes us want to follow this Instagram fav. Add in her British roots and boho meets cool girl style and you won’t be able to step away from her feed. @livvylandblog: Olivia has perfected her Instagram editing. Her account makes us feel like we’re reading a pretty journal. Soft and airy, but a hint of charm. Are you on Instagram? Give these ladies a follow and while you’re at it give us a follow as well! @ShopNiirva #inspiredstyle. We’re always switching things up here at Niirva. Some days we go all out with layering different necklaces, while others we go into full blown bracelet stacking mode. This week we’re very into arm candy. It’s an easy way to add color to your outfit and really make a statement. Need to stock up for stacking? Shop our assortment of stackable bracelets here. We want to see your arm candy. Make sure you snap a pic and use #NiirvaArmCandy. We’ll be sharing snaps of ours all week long! We are having a serious color crush on cobalt blue. Maybe it’s the impending summer when blue seems to be a go-to color, or perhaps it’s the fresh way the color looks on these summery pieces. Either way it’s our of the moment color and we can’t wait to add more of it to our closet to get us through these next few months. What color are you crushing on right now? We want to know! 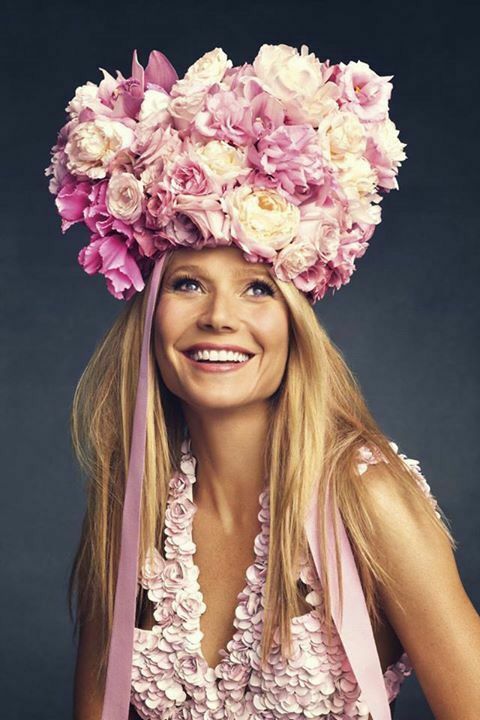 I don’t know about you, but the buzz around the office is that wedding season is coming. At least two of my friends are tying the knot this year and I’m already on the look out for the best dresses and accessories. 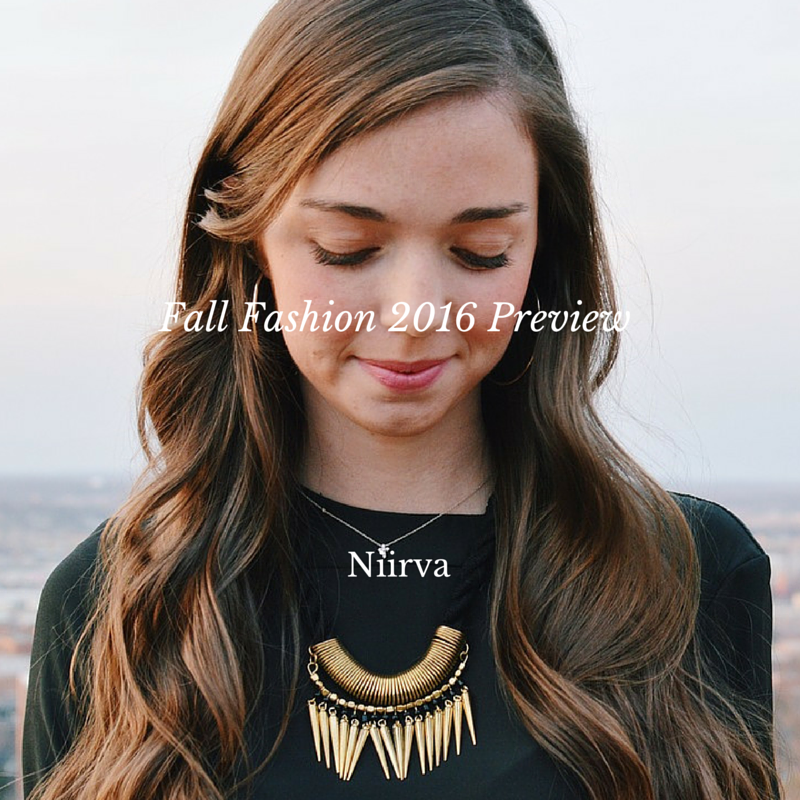 Luckily for me, Niirva carries all the fancy, floral, and festive pieces a girl could ever dream of. Our favorite? The Beaded Clutch Purse – available in colors that suit any dressed up attire. 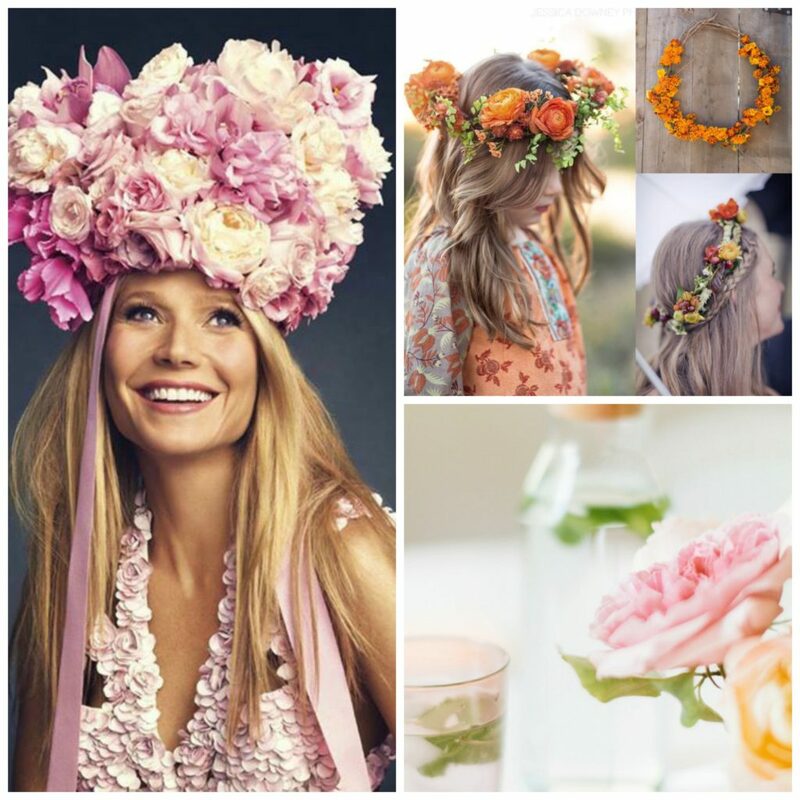 So, this wedding season let us help you feel fancy, floral, or festive!